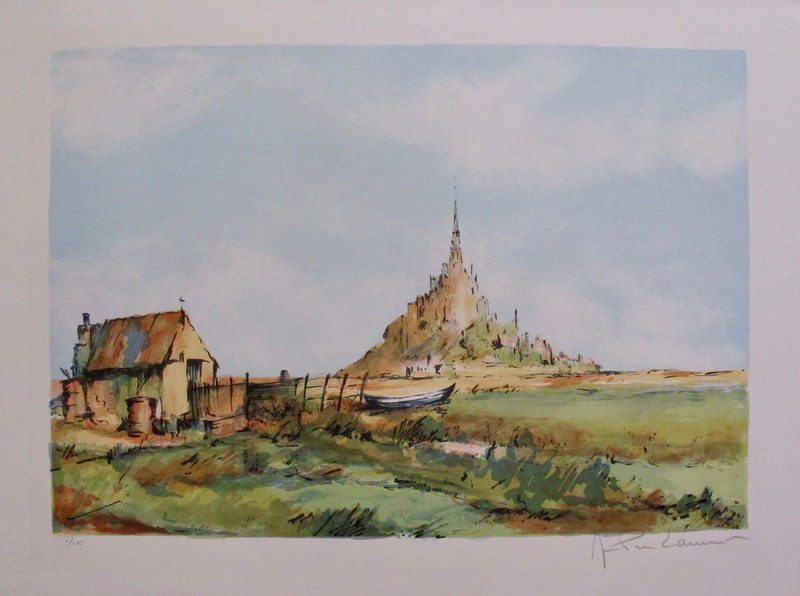 This is a lithograph by French artist Jean Pierre Laurent titled “Beach Home”. 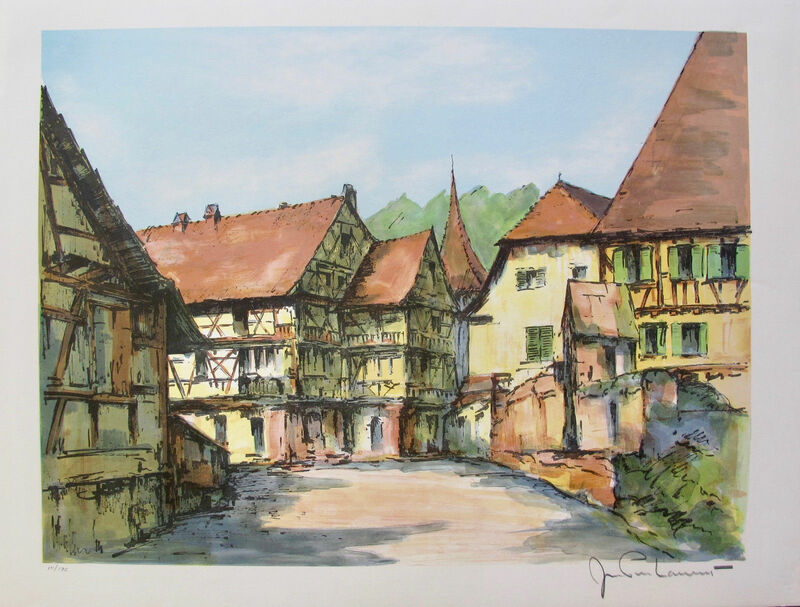 This is a lithograph by French artist Jean Pierre Laurent titled “Bourg Alsacien”. 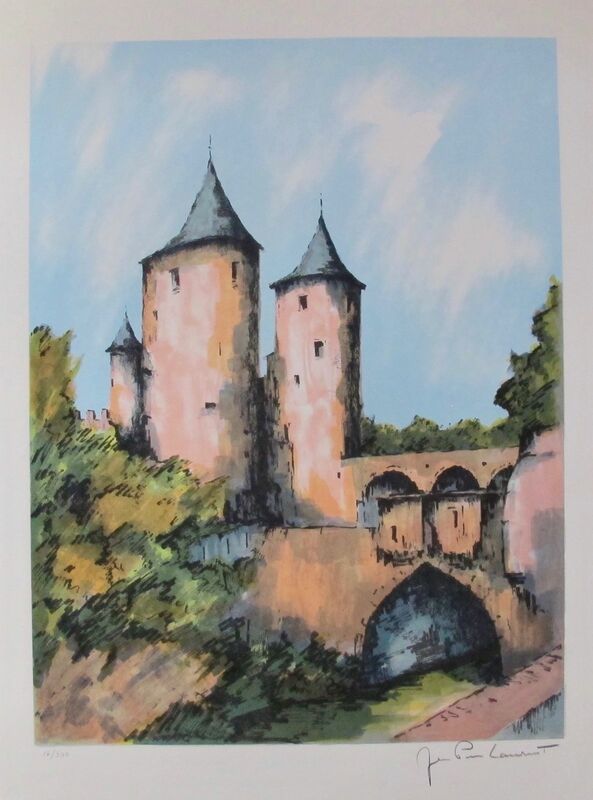 This is a lithograph by French artist Jean Pierre Laurent titled “Castle above Bridge”. This is a lithograph by French artist Jean Pierre Laurent titled “Home”. 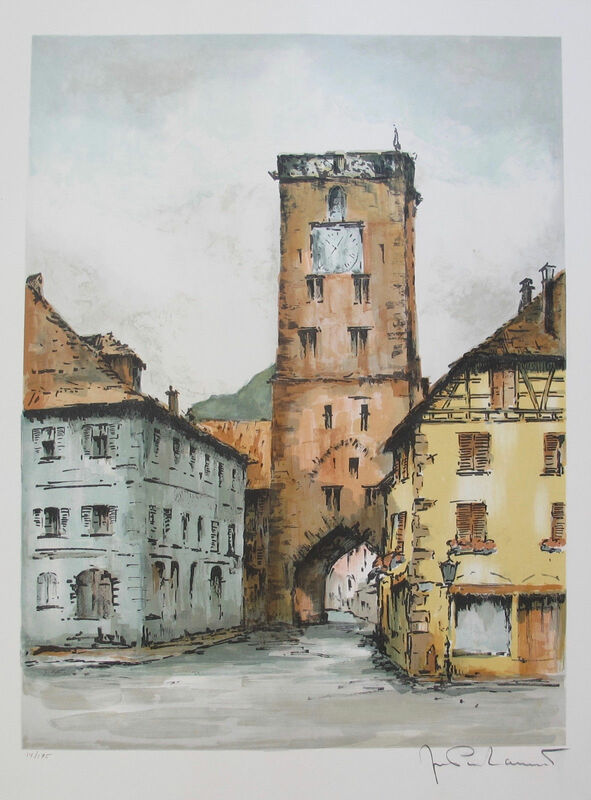 This is a lithograph by French artist Jean Pierre Laurent titled Horloge.